After World War II, Czechoslovakia had a brief period of democracy until 1948, when it fell to a Communist coup and became a satellite of the USSR. Like so many European Communist states during the Stalin era, party apparatchiks could suddenly find themselves accused of imaginary crimes against the state and lose their positions or even their lives. State Security officials and their informants monitored and reported on activities of ordinary citizens, so that one never knew if co-workers, friends or even family members could be trusted not to be informers. 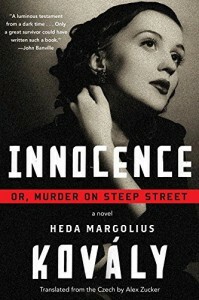 That’s the background of Heda Margolius Kovály’s Innocence, or Murder on Steep Street. Helena Novákova’s world is turned upside down when she loses her job at a publishing house and her husband is arrested and imprisoned as a spy. He isn’t, but truth isn’t a priority in the paranoid security state. Now Helena is an usher at the Horizon cinema in Prague, along with several other female ushers, a manager, a concessionaire and a lone male projectionist. When a young boy visiting the theater is murdered, all of the staff fall under official scrutiny. 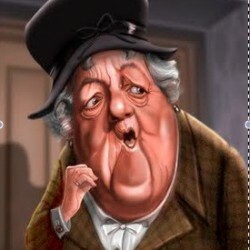 There doesn’t seem to be any mystery about whodunnit, but all the other staff members still have plenty of secrets, veiled by layers of lies. At the same time that we read about the dual lives of the various Horizon staff members, another thread is Helena’s attempts to find help for her husband. These two threads come together in an unexpected way. It’s intriguing, but the wrap-up is murky and strays past enigmatic to confusing. In a few other places the writing lacks clarity. Overall, though, I still found it a very readable and atmospheric story. It might seem a little strange to have a crime novel told in hardboiled style when it’s set in Prague in the 1950s, but I got used to it quickly, especially since the stripped-down bluntness of the style fits the bleak, paranoid time and place. When you find out that Kovály was herself a translator of Raymond Chandler’s books, it makes even more sense. Knowing Kovály’s own story isn’t necessary to appreciate this stark story of pervasive falsity and fear, but I think it does add something when you know how close this was to home for her. She and her first husband were Holocaust survivors who made it home to Prague, where her husband became an enthusiastic Communist. He was caught up in the infamous Slánský show trials and was executed. When you know that, Helena’s thoughts and actions are especially moving. If you’re interested in knowing more about Kovály, her memoir is stunning. Its title is Under a Cruel Star: A Life in Prague 1941-1968, and I highly recommend it. Note: I received a free advance copy of this book for purposes of review.